EarthStyle Urban Garden Start-Ups presents fun and affordable ways to build a food garden at The Green Tent this week. 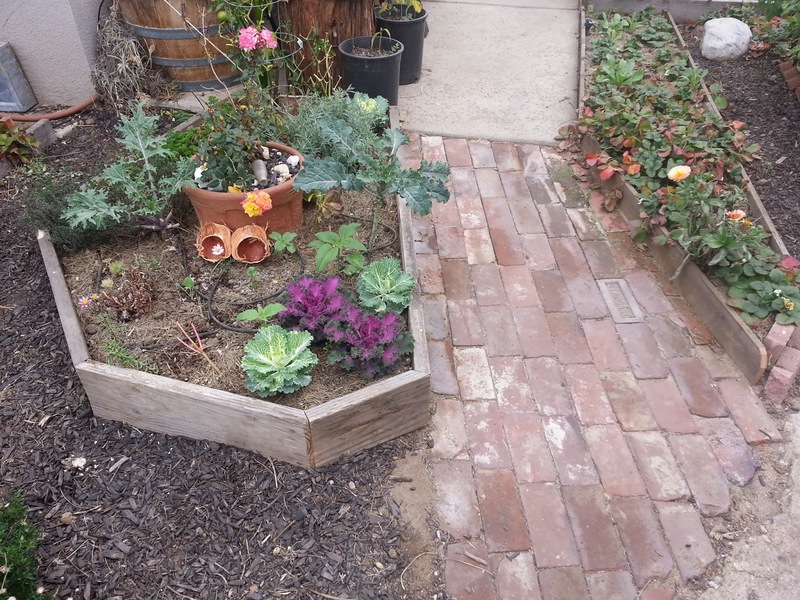 See demonstrations of how to build raised garden beds using repurposed materials. Learn how to convert your existing in-ground spray irrigation to drip irrigation. 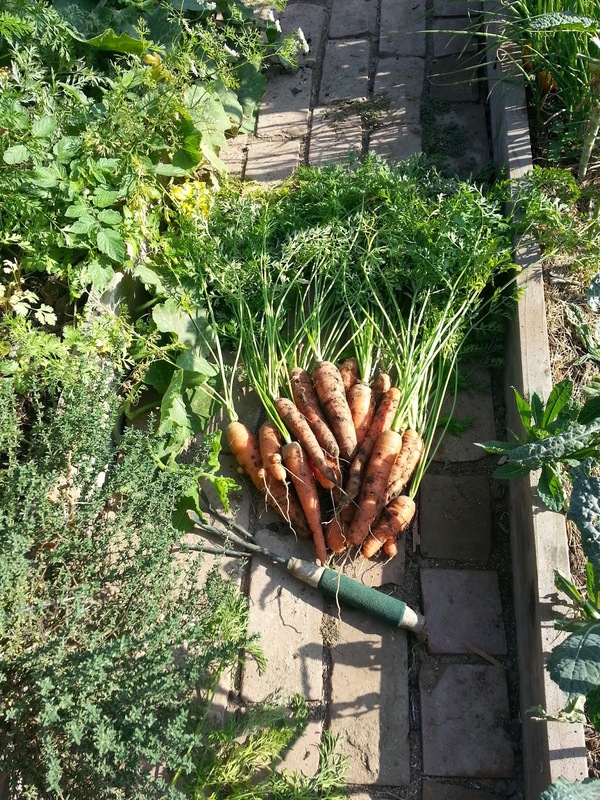 Find out how to make your "impossible" soil yield beautiful organic food and flowers. 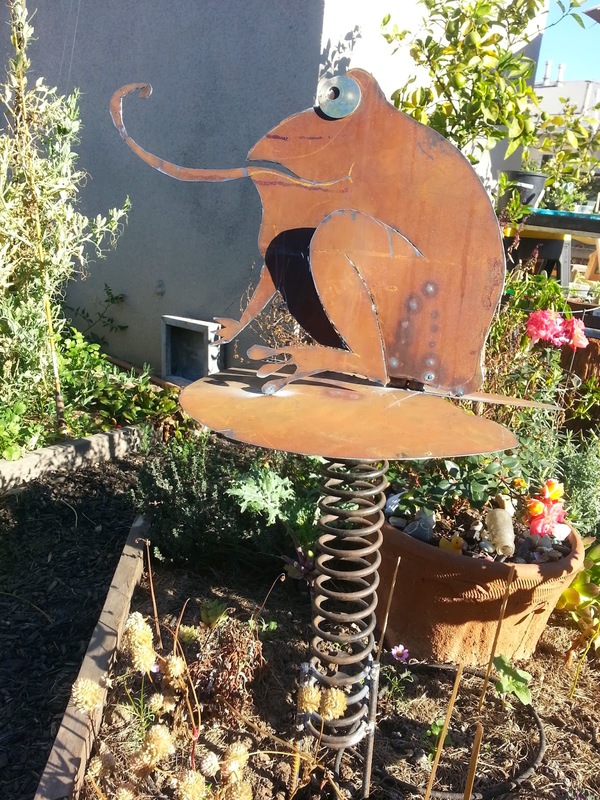 See examples of repurposed garden sculptures that make your garden fun and a unique expression of you. So much is possible with what we already have! The Master Gardeners are back at The Green Tent! And they're bringing a couple of flats filled with seedlings planted just for Mar Vista Farmers Market visitors. 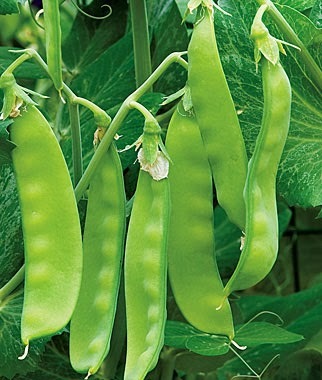 They’ll be giving away Snow Peas (these are the flatter ones that you eat pods and all), Sugar Snap Peas (the chunkier super sweet edible pods with peas), Bloomsdale Spinach (one of the best! ), green salad bowl lettuce, mesclun mix greens and some Siberian kale that’s just starting to show its first “true leaves”. As always, they’ll have seeds on hand to give away, too. 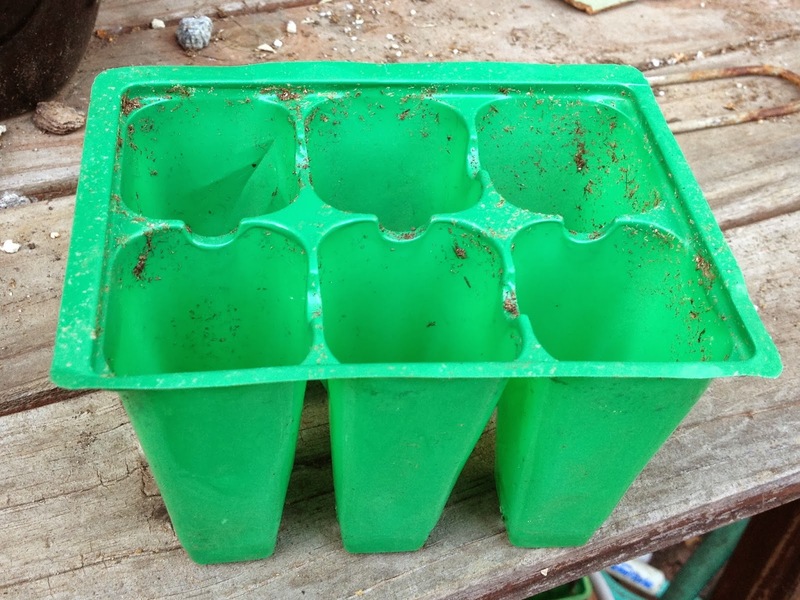 They really need your plastic “six-packs” so they can continue planting seeds for the Green Tent each month.